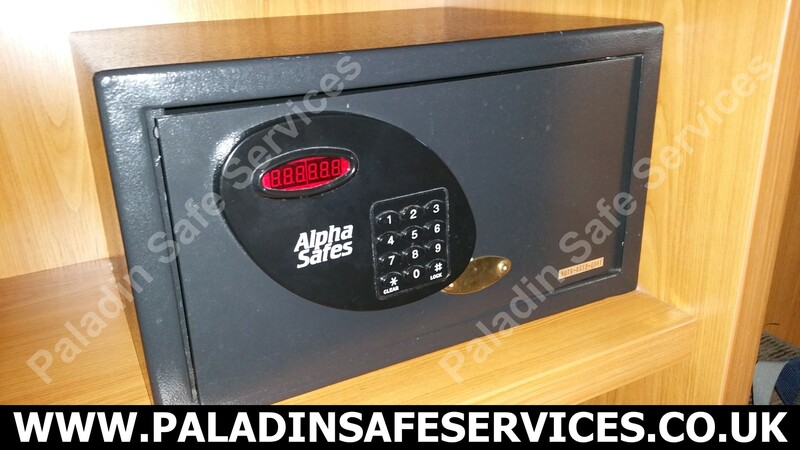 We were called to open this Alpha hotel safe at an international hotel chain site in Manchester. The members of staff who knew the supervisor codes had left and a guest had omitted to open the safe with his code prior to checking out. Upon arrival there was still a guest in the room where the safe was so we were taken on a tour of other rooms where they were having difficulties, during this time we took the opportunity to work out the supervisor code and coach the staff on how to change it should they wish to do so. Once the guest had left the room with the locked safe it was a simple case of putting in the master code and it opened up straight away. This Safeplace Magna 800 Digital Hotel Safe would not open when the correct code was entered. We attended the Hotel overlooking Lake Windermere in the Lake District to open and repair it as they urgently required access to the contents. Once on site we discovered that the top bolt was not retracting but we were able to open it without any damage and reattach it to the boltwork. A nice clean job leaving a fully functional safe with no holes to fill. 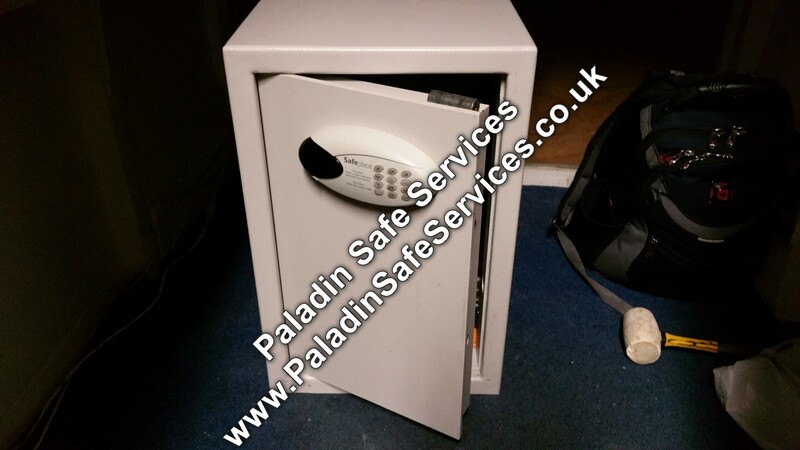 Another professional safe opening completed by Paladin Safe Services. 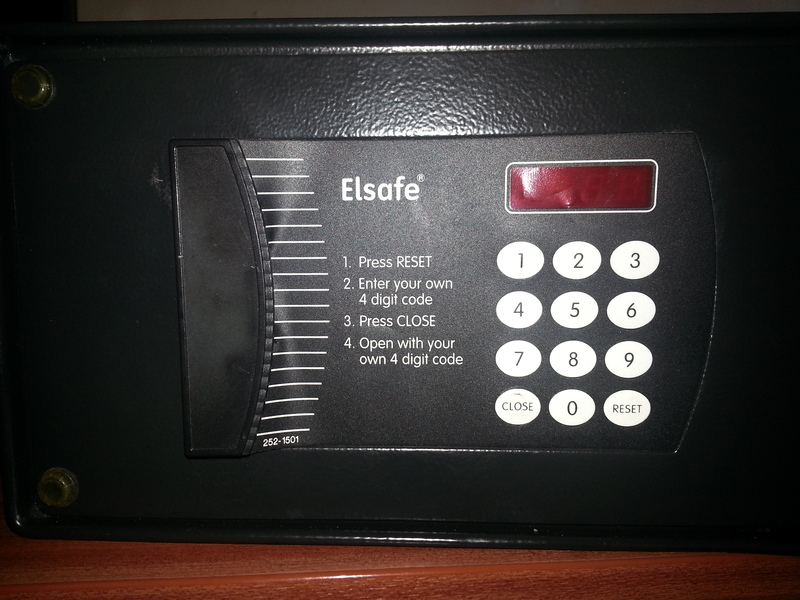 This Elsafe 252-1501 Hotel Safe in Blackpool was failing to open and displaying a 5ER or SER error. We opened the safe up so that the customer could retrieve his passport and other valuables. I have also seen the 252-1511 version of this safe which is hinged on the opposite side.